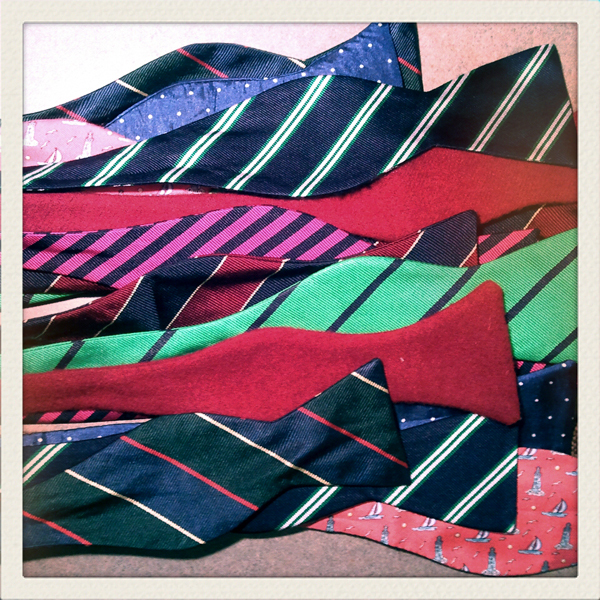 Brought in my collection of bow ties today to share with the office. Several brought their own (including my “young apprentice” intern) but there were still a few that wanted to test drive one for Bow Tie Friday. Even a couple of the ladies expressed interest. Gonna be a good day.